One of my favorite shows is Extreme Weight Loss with Chris Powell and his wife Heidi. I follow them on Facebook and Heidi shared this recipe. It was very tasty and good for you too! Here is the link to her original recipe. 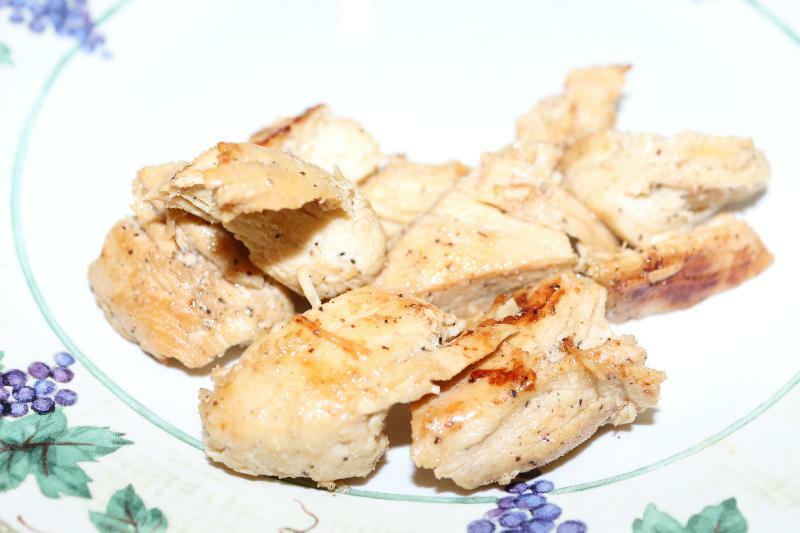 I ended up cutting up my chicken breasts in the pan because they were thick and taking awhile to cook. Next time I plan to use my meat scissors and cut the chicken into small pieces before I put them in the zip loc bag. Mix the seasonings together in a large zip-loc baggie. Then add the chicken breasts to the bag, seal, and mix around until all chicken is well coated with seasoning. Next add the butter and olive oil to pan and melt. Then add the chicken and cook on both sides until done. Remove the chicken from the pan and keep warm. Then put in the skillet the ime juice and broth. Using a whisk, mix the liquids and browned bits off pan bottom and sides. Continue cooking until sauce has reduced slightly. Finally add the chicken back to the pan, coating with the sauce. Then serve.